What are the facts about the global warming hoax? Climate change happens all the time. Is current change natural or influenced by humans? The answer may not be what you think. Reisman exposes that the hoax is itself a hoax. No matter what you think now, this book provides insights into how the truth has been obscured by the fog of politics and clever distractions. 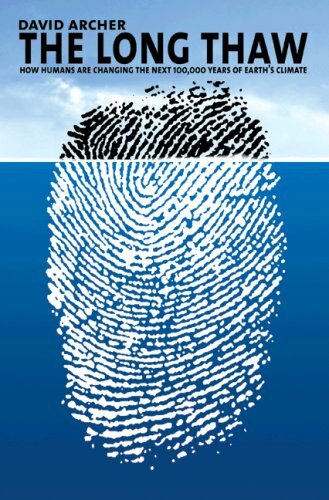 Take a thrilling journey into the perfect storm of politics, perspective, security, economics, psychology and science in "Exposing the Climate Hoax." Don't be 'tricked' by the title. Current climate change is real and human caused. This book is an honest and clear look at the 'real' hoax, which is that any claim that current global warming is 'hoax' is itself a hoax. Climate change is happening and we need to understand what it means to our economy because that translates directly to what it means to our standards of living. This post is a list of books since 2005 (in reverse chronological order) that we have been involved in, accompanied by the publisher's official description, and some comments of independent reviewers of the work. We will try and keep this list up to date as and when new books appear. We have also added links to the sidebar with the latest offerings. 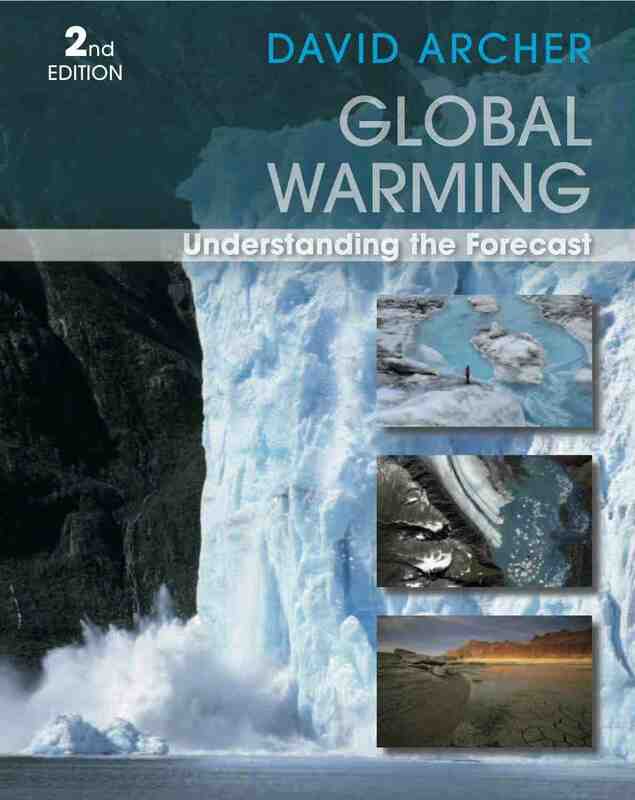 Understanding Climate Change: The Unofficial Guide to the IPCC Fourth Scientific Assessment. David Archer and Stefan Rahmstorf, Cambridge University Press, 2009. Paleoclimatology is a definite "must-have" for anyone working in climate studies and highly recommended for anyone seriously interested in our climate. How Humans are Changing the Next 100,000 Years of Earth's Climate, David Archer (Princeton University Press, 2009). Archer shows how just a few centuries of fossil-fuel use will cause not only a climate storm that will last a few hundred years, but dramatic climate changes that will last thousands. Carbon dioxide emitted today will be a problem for millennia. For the first time, humans have become major players in shaping the long-term climate. In fact, a planetwide thaw driven by humans has already begun. But despite the seriousness of the situation, Archer argues that it is still not too late to avert dangerous climate change–if humans can find a way to cooperate as never before. In this short book, David Archer gives us the latest on climate change research, and skillfully tells the climate story that he helped to discover: generations beyond our grandchildren's grandchildren will inherit atmospheric changes and an altered climate as a result of our current decisions about fossil-fuel burning. Not only are massive climate changes coming if we humans continue on our current path, but many of these changes will last for millennia. To make predictions about the future, we rely on research into the deep past, and Archer is at the forefront of this field: paleoclimatology. This is the book for anyone who wishes to really understand what cutting-edge science tells us about the effects we are having, and will have, on our future climate. Rigorous but rewarding, David Archer's book takes us through the science of global warming so that we can more effectively assess where the world may be heading. The main purpose of this book is to introduce the reader to the subject of solar activity and the connection with Earth's climate. It commences with a brief review of the historical progress on the understanding of the solar-terrestrial connection and moves on to an objective scrutiny of the various hypothesis. The text focuses on how knowledge about the solar cycle and Earth's climate is obtained. It includes discussion of observations, methods and the physics involved, with the necessary statistics and analysis also provided, including an examination of empirical relations between sunspots and the Earth's climate. The author reviews plausible physical mechanisms involved in any links between the solar cycle and the Earth's climate, emphasizing the use of established scientific methods for testing hypothesized relationships. 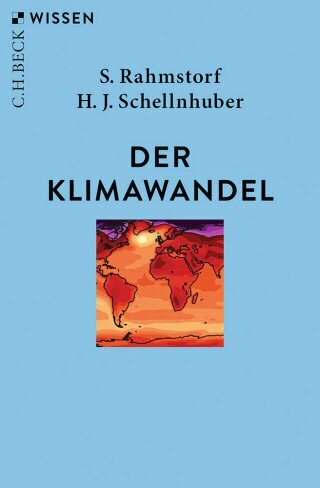 "In dem Buch "Klimawandel" in der Reihe "Wissen" des C.H. Beck Verlages melden sich zwei ausgewiesene Fachleute zu Wort: Hans-Joachim Schellnhuber ist Gründer und Direktor des Potsdam-Instituts für Klimafolgenforschung und Professor für Theoretische Physik an der Universität Potsdam. 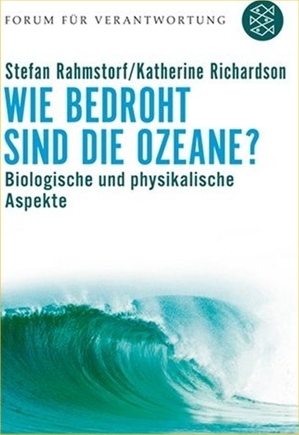 Stefan Rahmstorf forscht am Potsdam-Institut für Klimafolgenforschung und ist Professor für Physik der Ozeane an der Universität Potsdam. Auf 144 Seiten geht es einmal quer durch das Fachgebiet, das die Autoren in fünf Abschnitte aufgeteilt haben: Die Klimageschichte der Erde; die derzeitige globale Erwärmung und ihre Ursachen, die Folgen des Klimawandels; die öffentliche Diskussion um den Klimawandel und schließlich die möglichen Lösungswege. Viele ihrer Aussagen und Analysen zum Klimawandel sind bekannt - doch man hat sie selten so kompakt, übersichtlich und kompetent auf so wenig Raum zusammengefasst gefunden." Michael Mann and Lee Kump, (2008). Readers will be able to understand the IPCC reports' key concepts such as scientific uncertainty. They will also learn how to build a climate model and use it to predict future climates. Geoforensics is presented as a way to learn from the past by piecing together clues from prior climates. Here's a powerful, straight-forward guide to how scientists, economists, and engineers really understand the problem of global warming. It makes 20 years of research and consensus-building completely accessible to anyone who cares to know the truth–and to do something about it. With its eye-grabbing graphics and reader-friendly prose, "Dire Predictions" walks us through the findings of the world's leading climate scientists - and places the ultimately responsibility for the human future directly at our feet. Ross Gelbspan, author of "The Heat Is On" and "Boiling Point"
Dr. Heidi Cullen, Climate Expert at "The Weather Channel"
Climate Change: Picturing the science. In this groundbreaking book, to be published by W.W. Norton & Company in April 2009 NASA climate scientist Gavin Schmidt and photographer Joshua Wolfe illustrate as never before the ramifications of shifting weather patterns for human society. Photographic spreads show us retreating glaciers, sinking villages in Alaska’s tundra, drying lakes. The text follows adventurous scientists through the ice caps at the poles to the coral reefs of the tropical seas. Marshalling data spanning centuries and continents, the book affirms the headlines with cutting-edge research and visual records, including contributions from experts on atmospheric science, oceanography, paleoclimatology, technology, politics, and the polar regions.